DH Tree Services is a Surrey-based team of arborists that excels in all aspects of tree care. 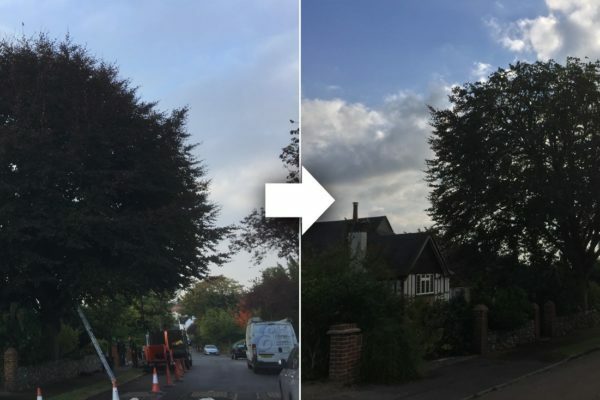 Working in Cheam, Ewell and throughout the surrounding areas, our friendly and dedicated team of tree surgeons are highly experienced, insured and offer great customer service. We always ensure our customers are satisfied – our aim is to exceed your expectations and always retain the integrity and beauty of your trees. All our team hold relevant NPTC qualifications and we are fully insured, so matter how complex the job, we have the expertise to take it on. All tree work is potentially dangerous and this is why we believe in always having a clear plan and we will always complete a risk assessment prior to the start of any job. We work with both domestic and commercial customers and all work complies with current British standards. 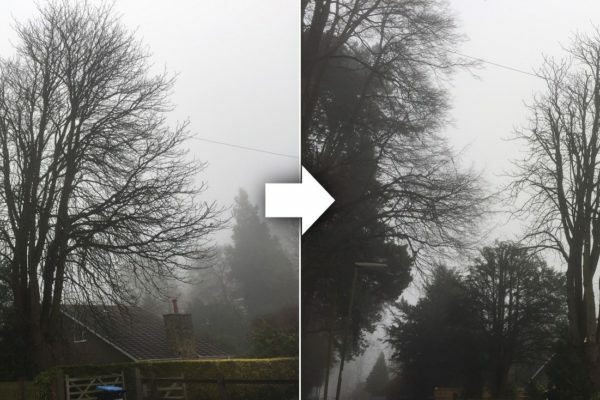 Tree felling: Although retaining trees is a priority, there are situations where removing a tree might be necessary and we complete both straight felling and sectional. Tree planting and planning: We welcome the opportunity to plant new trees and will always offer advice about the right trees to plant, which are suited to our landscape and your requirements. 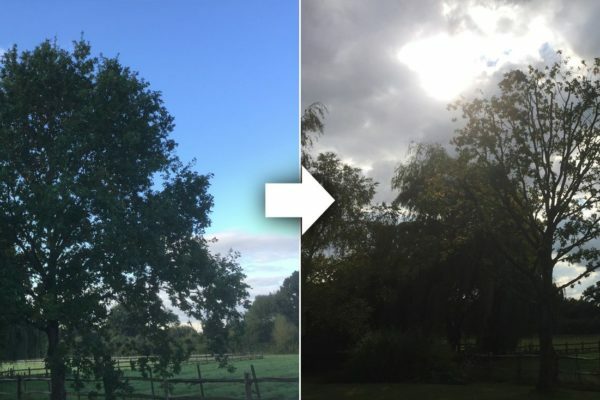 Tree pruning: We are specialists in all aspects of tree pruning and can assist with crown reduction, crown lifting, crown thinning, pollarding and formative pruning. Hedge trimming and shaping: As well as our tree work, we carry out regular hedge trimming so hedges remain in a good shape and at a suitable height. Seasoned logs: We can supply well-seasoned logs that are ready to use, either as fuel or wood chip for your garden. Stump grinding: Don’t let a leftover stump become an eyesore after a tree has been removed! We offer an expert tree stump removal and stump grinding service. Garden clearance: If you have an overgrown garden and are looking for help, we can discuss your garden clearance needs. Give us a call on 01737 215 718 or 07872 615 504 to keep your garden looking great. When you are looking for cost-effective solutions to manage your trees, look no further than DH Tree Services. All work is carried out by skilled arborists who hold NPTC qualifications. Whether you need some work done on a tree in your back garden, or you are a local business looking for trusted local tree surgeons, we are the team to call. For tree surgeons local to you in Epsom and Kingswood, call DH Tree Services. Neat and tidy hedges require regular trimming to keep them tidy and manageable. 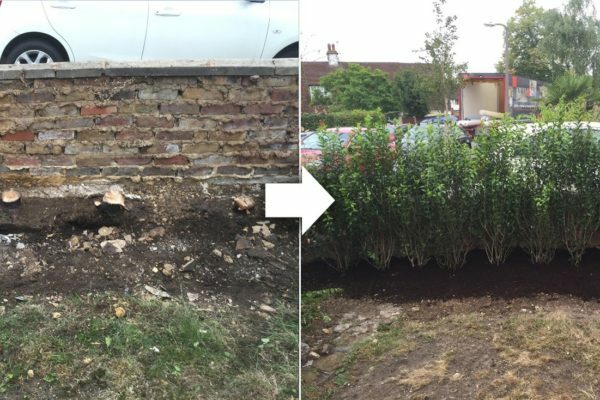 From regular large-scale commercial hedge cutting and trimming, through to one-off hedge trimming in residential gardens, this service can make a huge difference to your outdoor space, making it appear tidier. Regularly trimmed hedges are also much healthier and last longer and our team can always assess the condition of your hedges to ensure they are trimmed at the correct time of year. We are very efficient and will always leave your site clear and tidy. 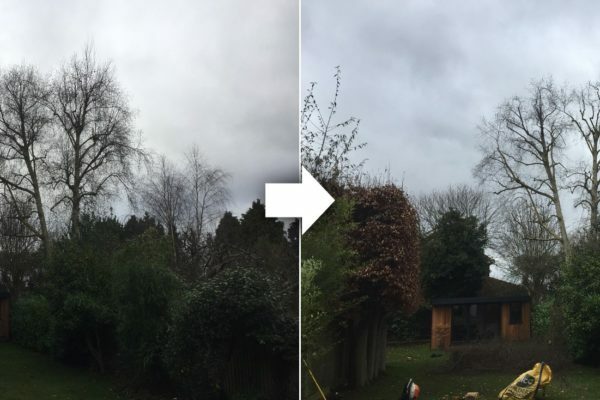 Our arborists are experienced in all aspects of tree felling and removal. Trees can either be straight felled on an open site in a controlled manner. However, more commonly when trees are within urban areas, they are dismantled in sections, known as sectional felling. Section felled trees are cut and lowered down to the ground, using an up-to-date rigging techniques. 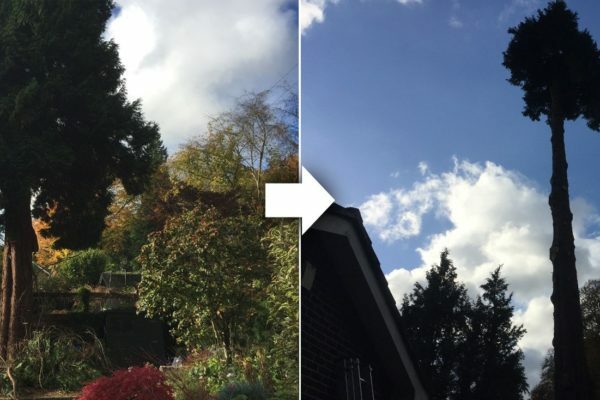 We can fell trees of all sizes, within any location and our arborists can navigate the tightest spaces with minimal disruption to the surrounding areas. All work is always planned carefully and executed in the safest way and to the highest standards. Repeat customer. As always, work was carried out exactly as we wanted and to an excellent standard, we were delighted with the results. Highly professional, first class service, and very polite, friendly, helpful people. Without hesitation, we would highly recommend this company. It is a common misunderstanding that tree stumps are harmless and it is not necessary to remove them. However, stumps can rot and decay and become infected, which can spread to nearby trees. Our tree surgeons offer an expert stump grinding and stump removals service. Stump grinding is the quickest way of removing a whole stump from your property. We ensure that our tree stump grinder safely and effectively removes your stump to ensure no possibility of future growth. We pride ourselves on offering the best prices. 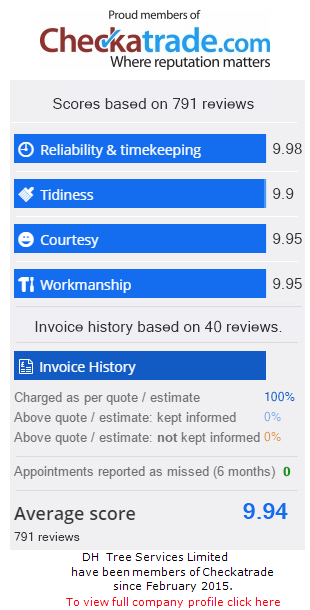 Call our team now on 01737 215 718 or 07872 615 504, email dhtreeservices@gmail.com or add your details to online enquiry form to request a call back.